This is an original designed quilted textile art piece, measuring 20x 33 in. (51 x 84 cm). 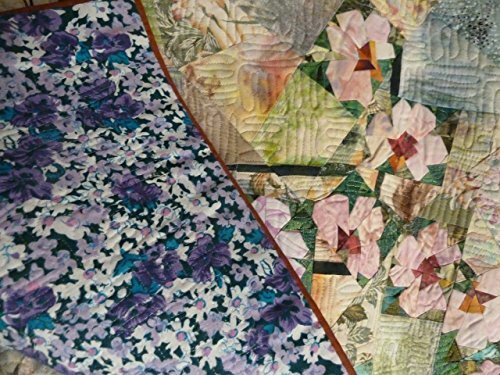 This scene of orchids has a multi-print background and is heavily quilted. There is a rust cotton frame that is finished at the back. I comes with a rod pocket and wooden dowel for hanging.It is made from 100% cotton fabrics.